Our aim is to create a learning experience for children that allows them to discover the concept of citizenship. We want to allow the children to understand the foundations and the mechanisms of a city from the creation of its laws and its government to the execution of the most basic types of employment. Creating a space that provides free access for all children without boundaries and on a voluntary basis. Promoting a time learning experience about being a citizen with their rights and duties. Allowing children living in Egypt to experiment with taking initiative and with the process of decision making. Promoting an environment that works on involving and providing benefit for children from disadvantaged groups (including barriers caused by social or economic, impairment, language or gender). And finally the aim is to provide an atmosphere of respect without pressure to perform because we acknowledge that every child is different. 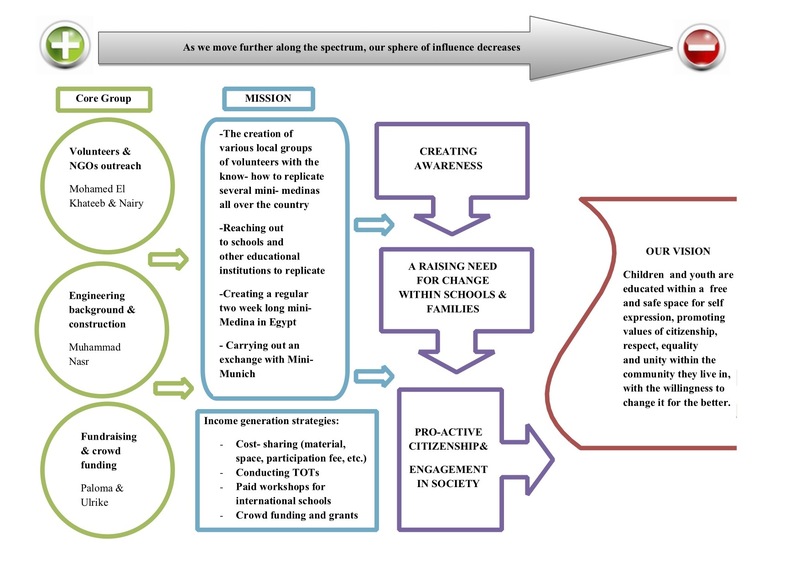 The above diagram visualizes the who, what, why and how of mini-medina. We are still in the process of researching more detailed background info on the state of experiential role-play in Egypt. 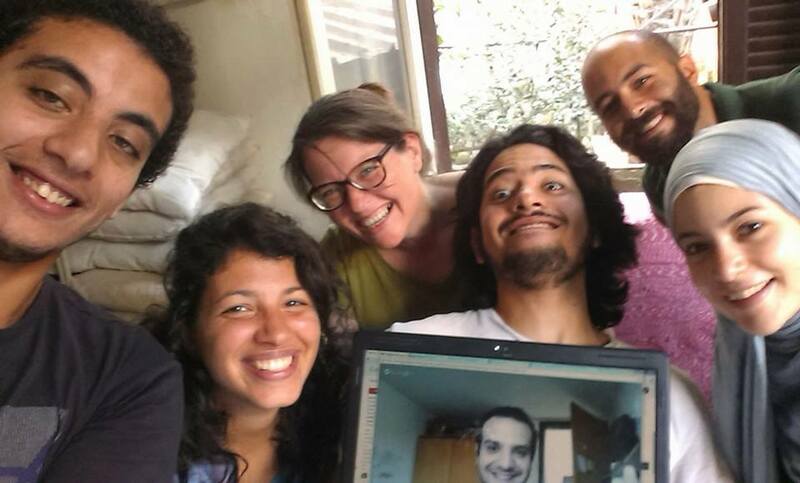 It is part of our project to do that research and publish information illustrating the case for creating such experiences and their benefits and their potential in having a positive impact on socio-economic development in Egypt.